Zenith Pilot: Cronometro Tipo CP-2 Bronze Case Bronze Dial Watch 29.2240.405/18.C801. Zenith began creating timekeeping instruments for the aviation industry in the late 20th century and have kept the spirit of traditional Swiss craftsmanship alive with designs that still offer the same functions and superb reliability as they did back then. Pilot watches appeal to those with a desire for classic dress watches, as well as those who consider themselves aviation enthusiasts. The dials are often finished in a sleek bronze, grey or black colour and punctuated by large luminous filled central hands and hour indexes to assist with referencing the time in dark conditions. Large crowns and rotating bezels join the distinctive characteristics of a Zenith Pilot watch, as well as luxurious 18ct rose gold cases and diamond adorned dials which represent the top end models of the collection. This classic pilot’s watch from Zenith features a sublime bronze grained surface surrounded by a black rotating bezel. The Flyback chronograph features powered by the independently manufactured El Primero 405 B automatic movement, provides an impressive 50 hour power reserve and comprises a total of 254 individual parts which are all hand-assembled at Zenith’s manufacturing facilities in Le Locle. A 30 minute and 60 second sub counter have been positioned at 9 and 3 o’clock respectively, surrounded by an Arabic numeral hour track filled with the company’s luminescent material. 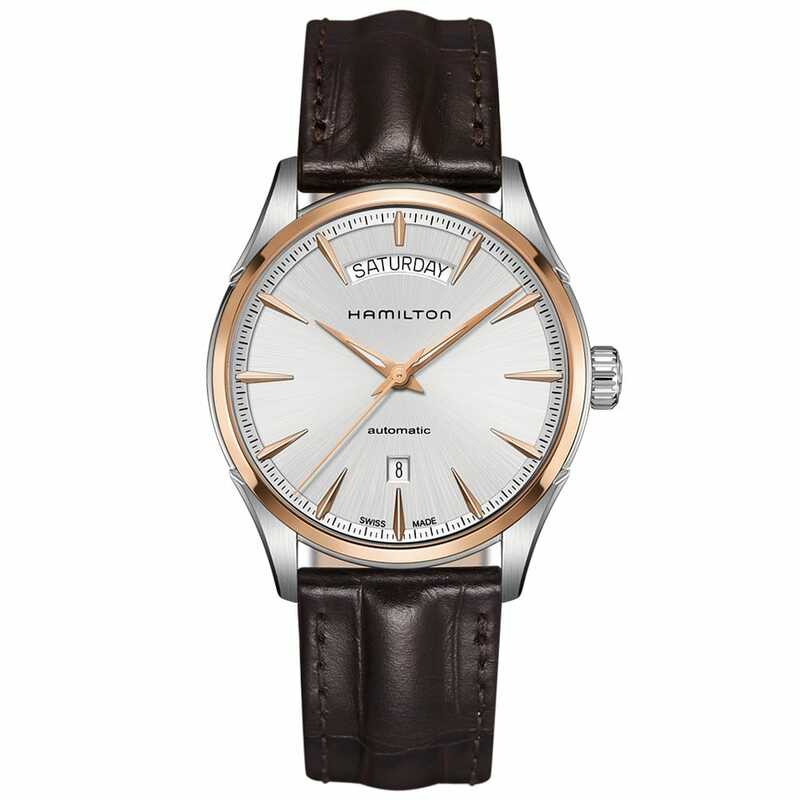 A scratch resistant and anti reflective sapphire crystals glass lens protects the dial of this watch, attaching to a 100 meter water resistant bronze case leading to an authentic brown oily nubuck strap, securing with a titanium pin buckle.